The spectacular remains of what appears to be a Viking grave, most likely belonging to a blacksmith, has been uncovered in Sogndalsdalen, Norway… The grave was found by Mr Leif Arne Norberg, under a series of stone slabs in his back garden. Mr Norberg had been carrying out landscaping works when he suddenly spotted a blacksmith’s tongs, followed soon afterwards by a bent sword. On closer examination it quickly became apparent that he had stumbled upon a remarkable Viking Age find. Archaeologists from Bergen University and the County’s Cultural Department were called to the scene and the remains were subsequently excavated. The finds recovered from the grave suggest that it probably dates from the 8th century AD. • While it is possible, in Europe, to find genuine Viking remains in one’s back garden, the likelihood of this occurring in the New World is much more remote. There is a major Viking site in Newfoundland, but there is also a long history of Viking hoaxes. 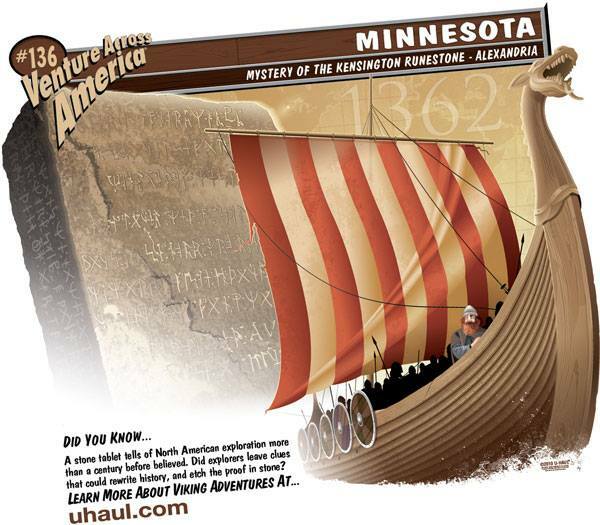 Thus, when someone told me that a Viking ship was discovered near the Mississippi River in Tennessee I was skeptical. That Vikings actually sailed down the coast of what is now the US, around Florida, into the Gulf of Mexico, and up the Mississippi, only to ditch their ship in Memphis, seems improbable. The myths from local native tribes about “red-haired devils” are also moot, given that the Mississippian culture that the Vikings would have encountered was only slightly related to the later Chickasaws and Choctaws. Sure enough, if you hunt for it, you uncover a disclaimer that the World News Daily Report is a fictional and satirical outlet. But this did not prevent the story from circulating widely on Facebook. Weapons were powerful ritual objects with lots of magic and social power, and a woman might be buried with one for a reason other than fighting, such as her connection to the ruling family, ownership of land, or role as priestess or magical healer. So without further evidence, “shieldmaidens” are up there with “horned helmets” as things that we’d like to be true, but probably aren’t.